The wide contact area of this bathtub rail helps disperse weight evenly. 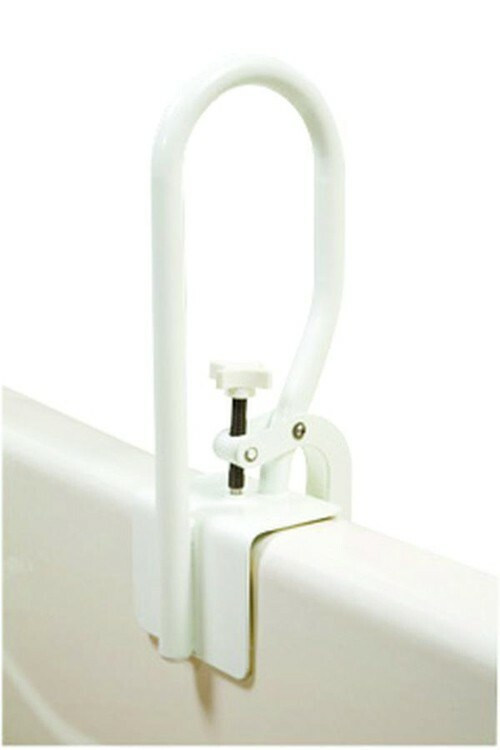 This rail is ideal for use on fiberglass tubs. 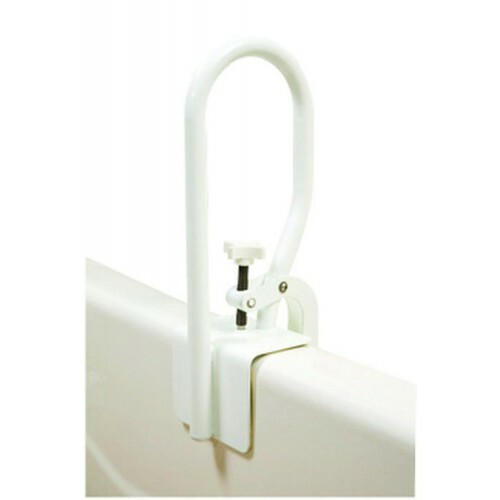 It also attaches easily to the tub with a mounting clamp. Clamp adjusts from 2(1/2)" to 5" in unlimited increments. Product size: 7"W x 1"D x 13(1/2)"H.